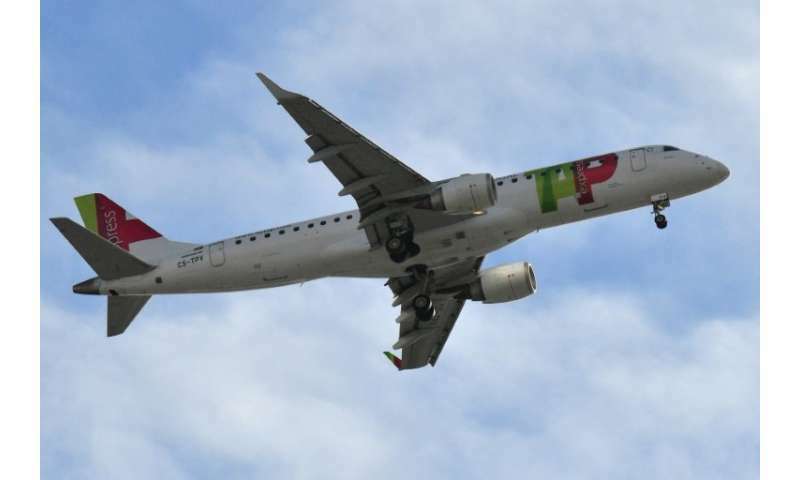 Portugal's flagship TAP Air carrier returned to profit in 2017 after years in the red that had investors wondering whether it could even survive, results published on the group's website showed. The company, which had lost 27.7 million euros ($33 million) in 2016, saw its net profit soar back up in 2017 to 21.2 million euros. This was "the best result in the past 10 years", TAP Air Portugal CEO Antonoaldo Neves said in a letter to staff cited by Portuguese media. The letter was published ahead of a TAP Air Portugal shareholders' meeting on Wednesday. Fifty percent of TAP Air Portugal's shares are owned by the Portuguese state, the other half by private shareholders. Still, TAP Air has a long way to go before it can unfasten its seatbelt and settle back into cruising at a comfortable height. "These results aren't yet up to par with our commitments," Neves said, as he warned of the ongoing "volatility" of the aviation industry. "We need to multiply our (profits) by seven in order to reach the level of other airlines' profitability, and so that TAP can remain viable on the long run. The challenges are huge!" he wrote. Earlier this year, the company announced it had hosted a record of 14 million passengers in 2017—a 22 percent jump from 2016. Following a privatisation drive in 2017, TAP Air is now 50 percent owned by the Portuguese state. Another 45 percent is owned by US businessman David Neeleman, his Portuguese partner Humberto Pedrosa and Chinese conglomerate HNA. The remaining five percent is owned by the company's employees.